The scheme calls for a reduction in on-street parking; restricting such to one side of the street only and where applicable. That is, on-street parking is not allowed where there is already off-street parking along establishments, where there are driveways, and within one or two vehicle length from intersection corners. There will also be designated loading/unloading areas for public transport so parking is also prohibited there. A couple of important features in the scheme are the enhancement of pedestrian facilities, particularly sidewalks, and the introduction of bicycle lanes. These are more clearly shown in the cross-section examples included in the map. Note that for other streets where there are no designated bike lanes indicated, it is assumed that lanes will be shared with motor vehicles. This is an application of the concept of shared right of way or “sharrow” as it is also termed. The scheme is contextualised along the lines of “people-oriented” transport rather than “car-oriented”, and hopefully would lead to a more walkable downtown area and encourage more people to use bicycles. This promotion of active transport should also lead to a healthier city. I will post about the transport plans prepared for the city in future articles here. A proposed one-way scheme for EDSA, C-5 and Roxas Boulevard raised not a few eyebrows among transportation and traffic professionals. While it seems to some that the three major thoroughfares are parallel or can be paired in such a way that EDSA can be one-way southbound, and C-5 and Roxas Blvd. can be one-way northbound, it is not as easy at it seems because these arterial carry a heckuva lot of traffic compared to the roads they are being compared to (New York?). The road network layout is also quite different. We have a circumferential and radial road network as the backbone of road-based transportation. A one-way scheme could be more effective if we had a grid type network where you have several pairs of roads that can be designated as one-way streets. Note the pairs of roads designated for one-way flow. These basically make for efficient traffic circulation provided the capacities of streets and intersections are not significantly reduced by factors such as on-street parking and other roadside friction. This can be achieved in various places in Metro Manila where streets are similarly laid out and there are multiple pairs to promote good circulation. Makati, for example, has many one-way streets in its CBD, and these are also in pairs. While having high capacities, EDSA, C-5 and Roxas Boulevard just does not have the closely spaced intersections to effect efficient circulation. In fact EDSA (or C-4) and C-5 are arterials that function to distribute the traffic carried by radial roads such as Roxas Blvd., Shaw Blvd., Commonwealth Ave, Aurora Blvd., etc. A better option is to focus on improving road -based public transport by setting up high capacity, express bus services with exclusive lanes. These may not necessarily be full Bus Rapid Transit (BRT) systems but requires a drastic reduction and restructuring of current numbers of buses along EDSA and their deployment along corridors like C-5 and Roxas Blvd. Express means longer intervals between stops (hint for EDSA: express bus stops coinciding with MRT-3 stations), and increased travel speeds made possible by exclusive lane(s). This could have been piloted during the APEC meetings in the previous administration where 2 lanes for each direction of EDSA were appropriated for APEC vehicles. These lanes could have been used afterwards for a BRT (-lite?) system and what could have been an pilot could have also provided an appreciation or “proof of concept” for BRT in Metro Manila that we could have learned a lot from. For some reason that’s a bit surprising for many, the MMDA seems to have solved two of the most enduring issues on traffic congestion along two major thoroughfares. LSGH is along Ortigas Avenue while Ateneo is along Katipunan Avenue (C-5). Both have high trip generation rates and a significant percentage of their trip gen is comprised of private vehicles. While, Ateneo’s trip generation has led to traffic congestion due to the sheer number of trips the university attracts, the congestion due to La Salle is due to the poor traffic management and lack of parking spaces for vehicles attracted by the school. I only wonder why it took so much time to address these problems considering the solutions mentioned in the articles are basically ones that could have been implemented years ago. In the case of La Salle, good old fashioned traffic enforcement apparently did the trick. But then, the MMDA even with the LGU constraint could have been stricter before whether when they were under Bayani Fernando (BF) or any of his successors as MMDA Chair. With Ateneo, the scheme is very similar if not the same as what BF proposed over a decade ago when he was MMDA Chair. At that time though a touchy issue was the U-turn scheme he installed along Katipunan that cost trees and the former service road on the west side of the avenue. We can only hope that these claimed ‘successes’ will be sustained and ensure smoother flow of traffic along the major roads they directly affect. Traffic consultants for Philippine cities? April 14, 2014 12:26 pm / 1 Comment on Traffic consultants for Philippine cities? 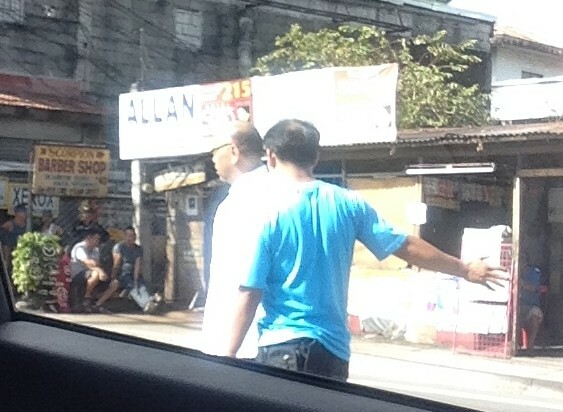 I was driving to the office one morning, and as I was slowing down to stop at the Masinag junction I spotted a familiar face giving instructions to Antipolo traffic personnel. Robert Nacianceno was formerly the General Manager (Undersecretary level position) with the Metropolitan Manila Development Authority (MMDA) when it was chaired by Bayani Fernando, the first MMDA Chair to gain a cabinet level post (previously the MMDA Chair was not a Secretary level position). He was in an office barong while leading Antipolo staff in positioning orange traffic cones to mark the lanes for turning traffic along the Sumulong Highway approach from Antipolo. Nacianceno is a cyclist so I would like to think that he can take that perspective in transport planning and traffic management for Antipolo. Unfortunately, his track record at the MMDA does not provide strong evidence as to his competence in transport planning or traffic management. Insiders say most policies and schemes during BF’s time was the latter’s ideas (e.g., U-turns, bike lanes, etc.) and he had his own consultant (and reportedly an inner circle) for various matters including traffic. In fairness to the man, Nacianceno probably has tremendous experience on the job but one has to note that there were other people with the MMDA who also dabbled in transport and traffic. Also, as GM he had other things to attend to during his stint including waste management and flood control. Remember this guy? He used to be the MMDA GM during BF’s stint at the agency. I recall that the previous traffic consultant of Antipolo City was also a former MMDA official, Ernesto Camarillo. Unfortunately, I couldn’t say that Antipolo traffic improved during the last few years. Based on what I have seen in my daily commute, transport and traffic conditions have degenerated. Antipolo is overrun by tricycles and people generally do not follow rules and regulations. Informal terminals dot the city and you don’t have to go far to find inappropriate terminals as these are in plain view and across from the Rizal Provincial Capitol. Antipolo has a new mayor in the former Rizal Governor and his mother now sits as governor of the province. I’m crossing my fingers as to how they will improve transport and traffic in Antipolo if there is really a desire to do so. For starters, is there a transport and traffic plan for this Highly Urbanized City (HUC)? There should be one as the city needs it badly together with a land use plan to bring some order in development. Antipolo is rapidly developing but at the same time conditions (including traffic) are also rapidly deteriorating. Hopefully, the LGU will address these issues and eventually make this city a modern one and fit for its being an HUC as well as a popular pilgrimage site for decades if not centuries due to the Shrine of Our Lady of Peace and Good Voyage (Is there some irony here?). Nacianceno’s work has just started and I hope he is up to the challenge of bringing order to Antipolo’s chaotic transport and traffic situation. I hope, too, that he will take note of good practices in other cities (Philippine or foreign) and won’t be relying purely on his experiences in Metro Manila. And hopefully, whatever improvements from the traffic schemes he will be introducing and implementing will be felt immediately by travellers. Good luck! Manila recently banned provincial and city buses from entering the city stating this is because many of them do not have franchises and/or terminals in the city. Those without franchises are the ones labeled as “colorum” or illegally operating public transport vehicles, which really don’t have a right to convey people in the first place. It’s become difficult to catch them because many carry well-made falsified documents. 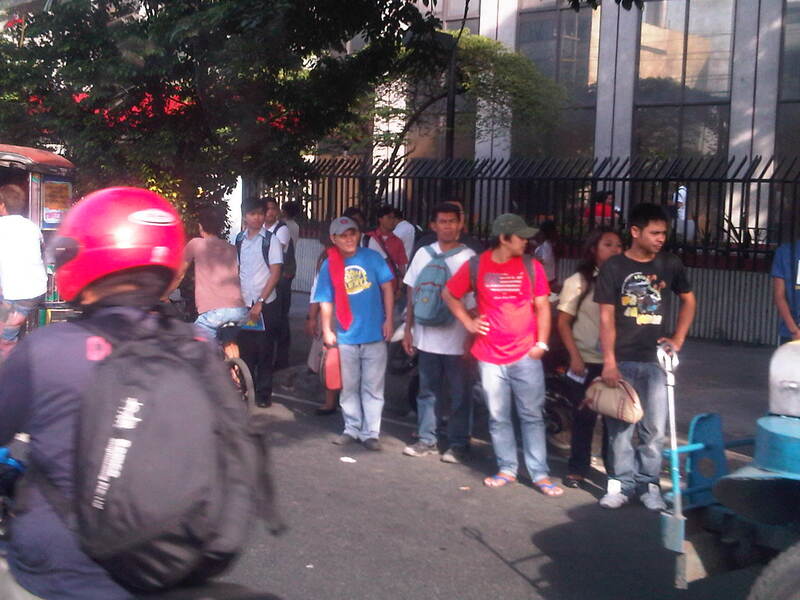 But it’s not really an issue if the LTFRB, LTO and LGUs would just cooperate to apprehend these colorum drivers. The LTFRB and LTO are under the DOTC, and so the agency is also responsible for policies and guidelines to be followed by the two under it. LGUs (and the MMDA in the case of MM) are tasked with traffic enforcement and so they can apprehend vehicles and act on traffic violations including operating without a franchise. Those without terminals are both city and provincial buses. For city buses, this can be because they “turnaround” in Manila and operators do not feel the need to have a formal terminal. For example, G-Liner buses plying the Cainta-Quiapo route will stop at Quiapo only to unload Quiapo-bound passengers, and then switch signboards and proceed to load Cainta-bound passengers as they head back to Rizal. There is very little time spent as the bus makes the turnaround. It’s a different case for provincial buses, whose drivers should have the benefit of rest (same as their vehicles, which also need regularly maintenance checks) after driving long hours. Thus, if only for this reason they need to have formal, off-street terminals in the city. Following are photos I took near the Welcome Rotunda en route to a forum last Friday. Commuters walking to cross the street at the Welcome Rotunda to transfer to jeepneys waiting for passengers to ferry to Manila. Commuters and cyclists moving along the carriageway as there are no pedestrian or cycling facilities in front of a construction site at the corner of Espana and Mayon Ave. Some pedestrians opt to walk on instead of waiting for a ride. Manila used to be a walkable city but it is not one at present. Many streets have narrow sidewalks and many pedestrian facilities are obstructed by vendors and other obstacles. So, is it really a move towards better transport systems and services in Manila or is it just a publicity stunt? If it is to send a message to public transport (not just bus) operators and drivers that they should clean up their acts and improve the services including practicing safe driving, then I’m all for it and I believe Manila should be supported and lauded for its efforts. Unfortunately, it is unclear if this is really the objective behind the resolution. Also, whether it is a resolution or an ordinance, it is a fact that the move violates the franchises granted to the buses. These franchises define their routes and specify the streets to be plied by buses. Many LGUs in the past have executed their traffic schemes and other measures intended to address traffic congestion, without engaging the LTFRB or at least ask for the agency’s guidance in re-routing public transport. Of course, the LTFRB is also partly to blame as they have not been pro-active in reviewing and optimizing PT routes. One opinion made by a former government transport official is that this is just a ploy by the city to force bus companies to establish formal terminals in the city. This will require operators to secure permits, purchase or lease land and build terminals. And so that means revenues for the city and perhaps more traffic problems in the vicinity of the terminals just like what’s happening in Quezon City (Cubao) and Pasay City (Tramo). Transport planning is a big part of the DOTC’s mandate and both the LTO (in charge of vehicle registration and driver’s licenses) and LTFRB (in charge of franchising of buses, jeepneys and taxis) look to the agency for guidelines and policy statements they are to implement. Meanwhile, LGUs have jurisdiction over paratransit like tricycles and pedicabs. In the case of Manila, these paratransit also include the “kuligligs,” 3-wheeler pedicabs that were fitted with engines and have been allowed (franchised?) by the city to provide transport services in many streets. Unfortunately, most LGUs do not have capacity nor capability for transport planning and so are limited or handicapped in the way they deal with transport (and traffic) issues in their jurisdictions. We have always maintained and promoted the stand that the DOTC should extend assistance and expertise to LGUs and the LGUs should also actively seek DOTC’s guidance in matters pertaining to transport. There needs to be constant communication between the national and local entities with cooperation leading to better, more suitable policies being formulated and implemented at the local level.